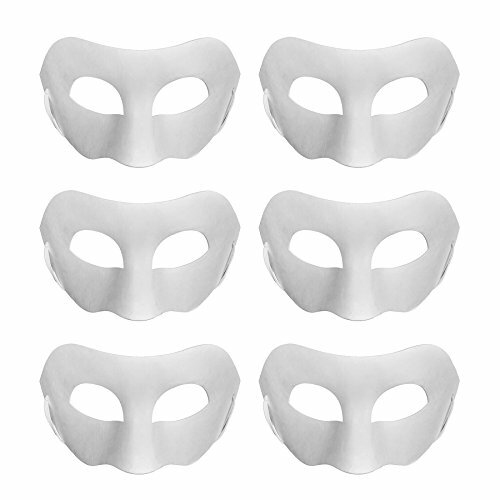 This set includes 24 blank paper mache masks in two different sizes, 12 of each. 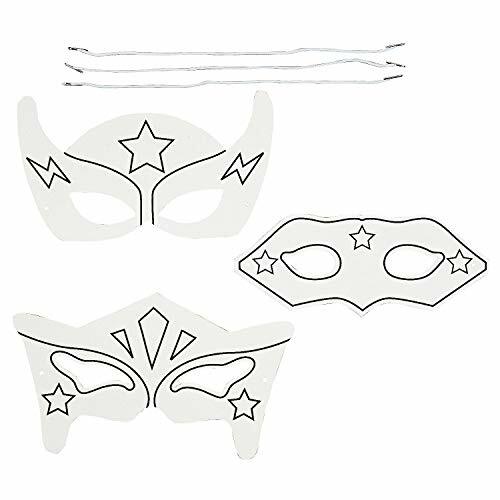 Just like a blank canvas, these masks are ready for you to unleash your creativity. 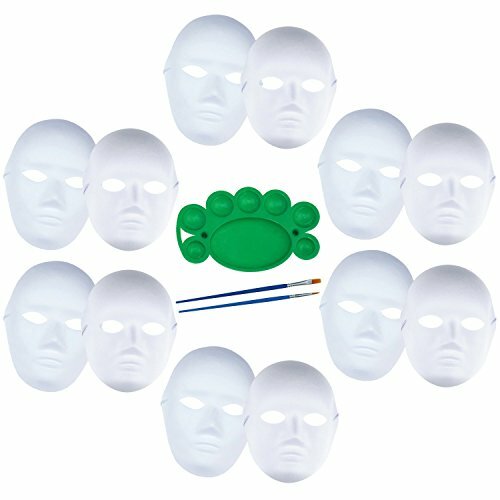 Paint on these masks with acrylic, watercolor, oil-based paints or gouache and make them your own! 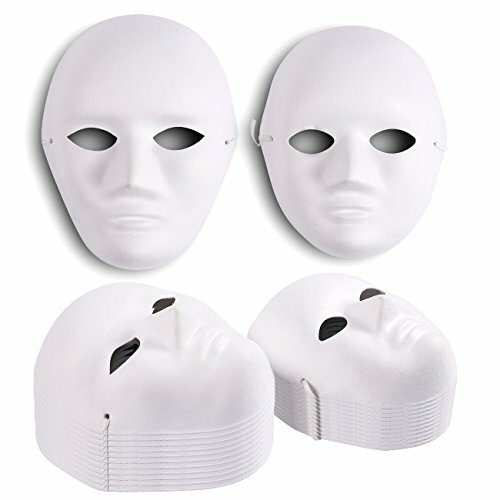 These blank masks are perfect for classroom projects, art classes, masquerades, costume parties and Halloween. 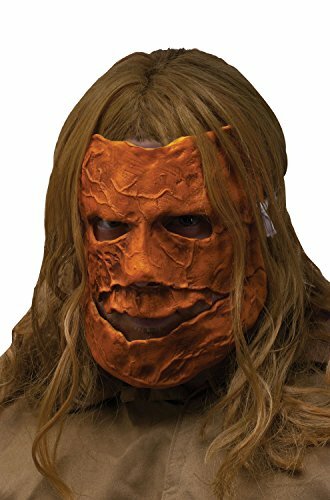 Masks are made of paper mache and are biodegradable and recyclable. 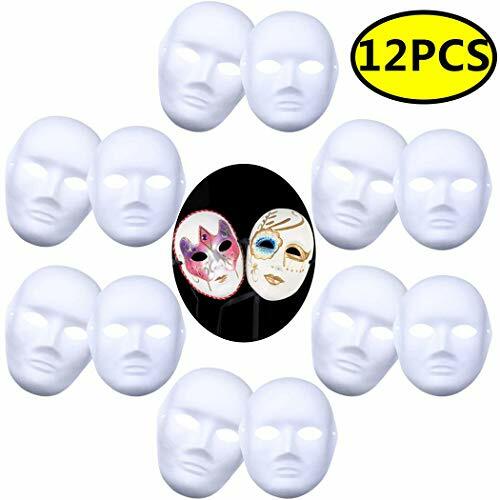 Get 24 paper mache masks at a value price! 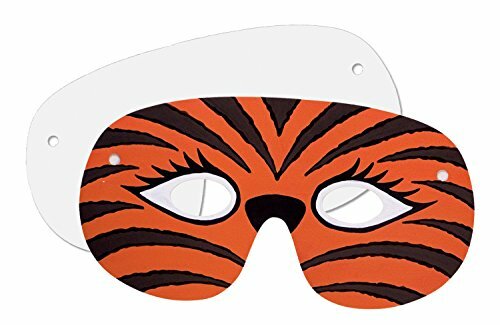 Make sure to always have some on hand when you need them! 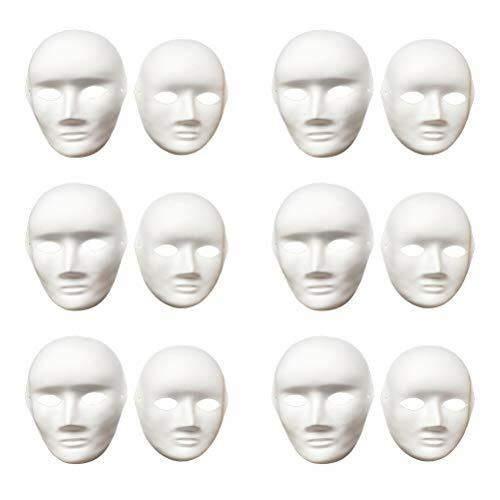 The smaller masks each measure 6.8 x 8 inches, larger masks 7.5 x 9.5 inches.